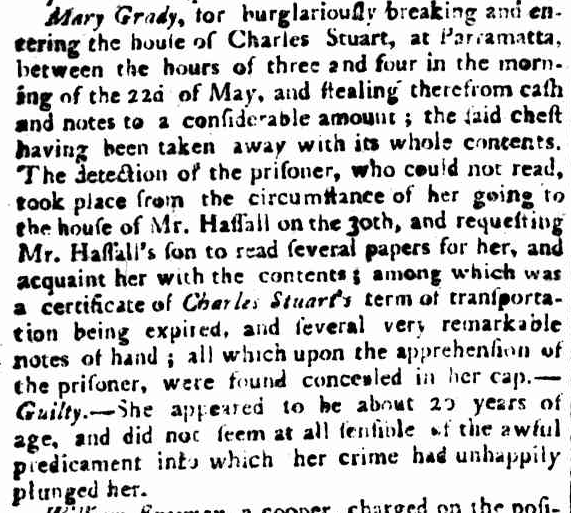 ​Mary Grady - Executed on the 18th of June 1808. Mary was born about 1788 Ireland and was convicted at Kerry, Ireland on 1804 and entrenched to life transportation. Mary arrived Sydney aged 18 aboard Tellicherry on 15 February 1806. 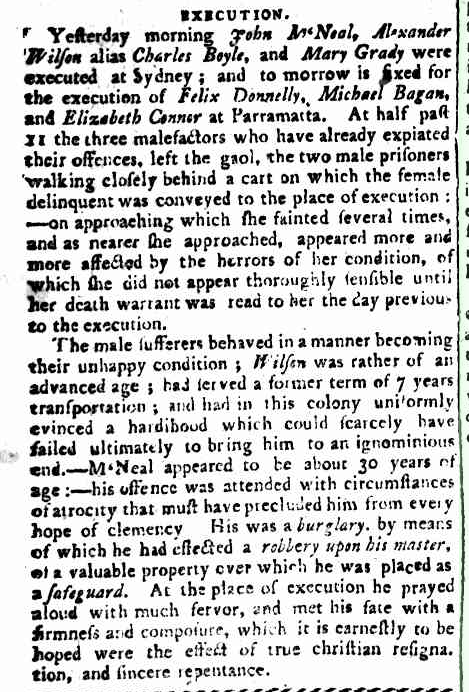 Hanged in Sydney for stealing from the house of Charles Stuart at Parramatta.